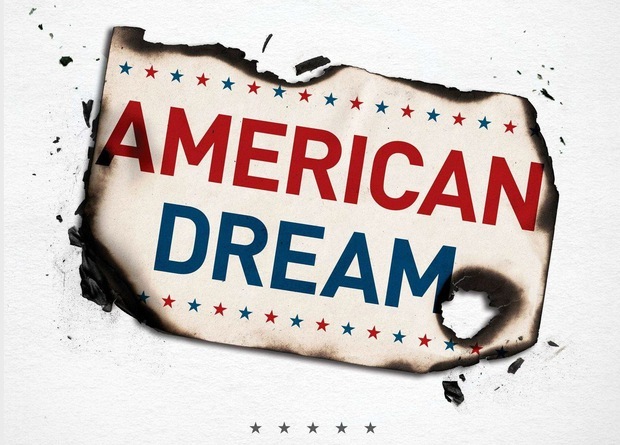 I think people need to evaluate what “An American Dream” really is to them. With all the changes that have been thrown onto us in the last 12 – 15 years, American dreams have changed. For some it’s just having a good paying job to pay the bills, for others, it may be living in a safe neighborhood, for still others, it’s having that huge mini castle with all the “toys” that will fit in the 3 car garage and out shed. For others it may be that smaller home, less of everything to do and pay for and more time for family, friends and church activities. Thanks again for the comment, Vicki! I wrote a post earlier this summer about defining enough for yourself, but what you stated in that comment is a more concise version of what I was trying to convey. Because honestly, what good is life, liberty, and the pursuit of happiness if we allow someone else to define what happiness is!? Isn’t that part of what this country was established for? Yet so many of us walk around in a haze, like we’re inside the Matrix. We don’t think for ourselves about what really and truly brings us joy in life, and we end up spending far too much of our lives working, many times for stuff that we find out didn’t bring us much fulfillment or that we didn’t really want in the first place! Now, for some of you out there, your American Dream is built on years of expectations, or maybe from the way you were raised. There may be no way you could ever alter what you’ve got in your mind as your American Dream. For example, if you grew up in an elite part of town and spent a lot of time among the movers and shakers of your community, you may never be satisfied with spending your days in a quiet country house. Your dream doesn’t include earning a modest income and frugal living, most likely. But others of you have the opposite situation. You might have great jobs with a lot of influence (and a lot of expenses). But maybe that’s not the way you would live your life, if you had the choice over again. For me personally, when I was a kid I lived in a quiet country area in an old farmhouse with plenty of woods around us to play in and a large open yard. When I stop and think about it, that’s the kind of childhood setting I’d love to provide for my kids. Not a life of busyness and being gone from home 7-6. And yet here I am, with two small kids of my own, living in a small neighborhood in the suburbs with a 1/4 acre lot, so that I can commute 30 minutes downtown for a good paycheck. Over the last few years I’ve made a lot of changes to my financial habits, and my thinking has drastically changed as well. I’ve set a couple of goals (financial independence and being totally debt-free) that I see as “exit strategies” from the big-city lifestyle. Two steps to get out of the rat race and pursue my American Dream for my family. Not yours, and definitely not Wikipedia’s. But as Vicki stated above, the first step is the hardest. It’s waking up from our social norms and realizing that we’re all different. We’ve got to put some serious thought and planning into how we want our lives to be lived, question the way that our culture defines The American Dream, and then decide to create our own. What does your American Dream consist of? How did you see yourself living your life when you were younger? And do you think you’ll ever get there?